Creating a great product is just one part of the story. If you want mass adoption and highly engaged users (and don't we all? ), you need to implement thoughtful, clever UX to encourage users to take action at every stage of the funnel. We're all about helping companies create better experiences for their users. That's why we've spent a lot (seriously, a lot) of time looking at other companies' UX strategies—the good, the bad, and the ugly—to understand what makes for memorable, enjoyable user experiences. But really good UX isn't just about putting a smile on your users' faces. It's about helping them get more out of your product. That often means encouraging users to take specific actions within your product to help them achieve the full value that you've promised them. Even the best products need user onboarding. 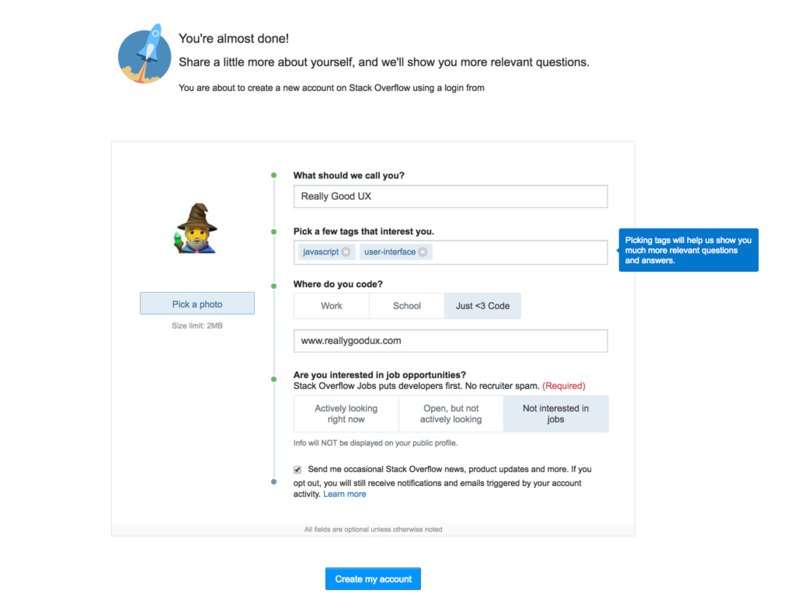 The onboarding experience is one of your users' first interactions with your company, and can make or break the future of your relationship. It's also one of the most action-heavy stages of the funnel; users actually need to put in effort in order to realize the value of your product. Stack Overflow is a platform that allows developers to collaborate, discuss coding problems, and find creative solutions. Every user is required to create a profile with personal information. Most users are now accustomed to single sign-on using social accounts like Google or Facebook. Asking users to fill out a ton of fields risks losing their interest before you've even gotten them into your product. Stack Overflow also uses a progress indicator to help users identify how much of the form they have left to complete. This is a well-known tactic that makes use of the goal-gradient-effect. If you have a lot of video content on your website, it's a good idea to use a third-party hosting partner, rather than loading up your own servers. New users are prompted to upload a video to the platform in order to walk them through the product. 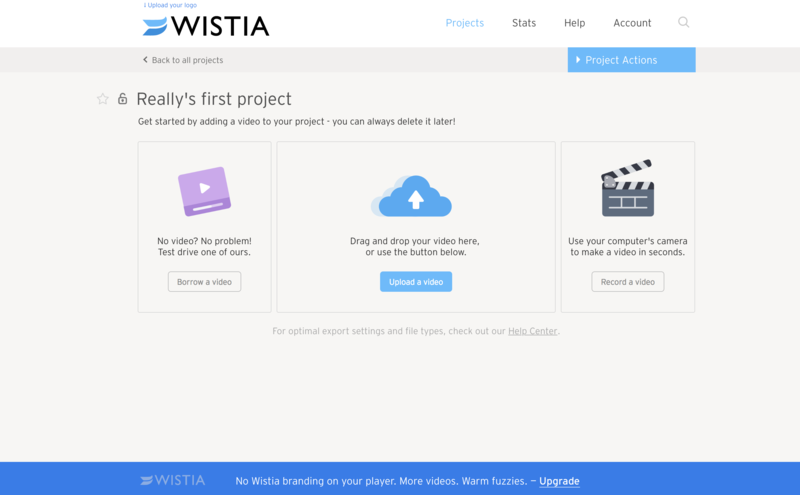 Importantly, Wistia recognized that many users might not have a video readily available on their computer; to help minimize churn, they give users the option to “borrow” a test video or create one on the spot. If your onboarding requires your users to upload a file, make sure you have alternatives like these to prevent people from abandoning your product early on. Adbeat is a competitive intelligence tool that helps you find advertising data and analytics for any company in the world. You can get access to everything from the type of ad creatives they've used to the publishers they are targeting and even the landing pages used for conversions. All this data can be obtained just by searching for a company within the app. Though this might seem like an easy step, there are a few potential roadblocks: Some users might leave just because they don't have a name in mind, while others might enter the name of a company that doesn't run ads. 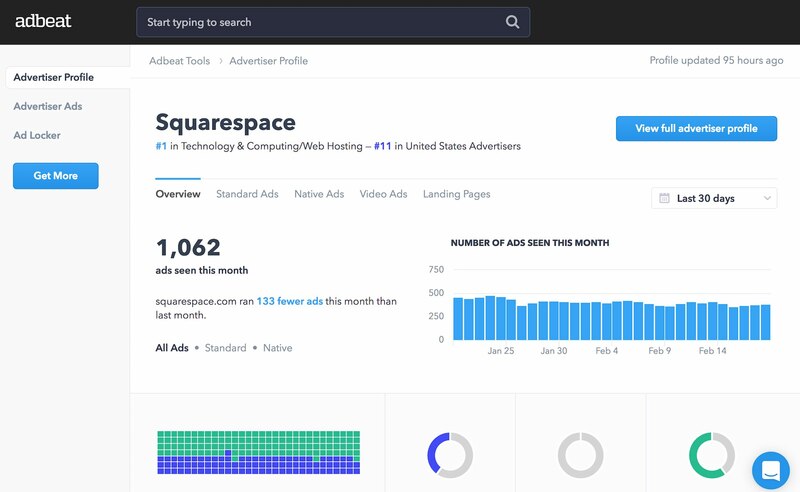 The full power of Adbeat is only unlocked when it's used to analyze companies like Squarespace, which spends millions of dollars on advertising. Remember, just because your product seems simple and intuitive to you doesn't mean that your users will see it that way. A simple suggestion can make all the difference to new users trying to grasp the value of an unfamiliar product. 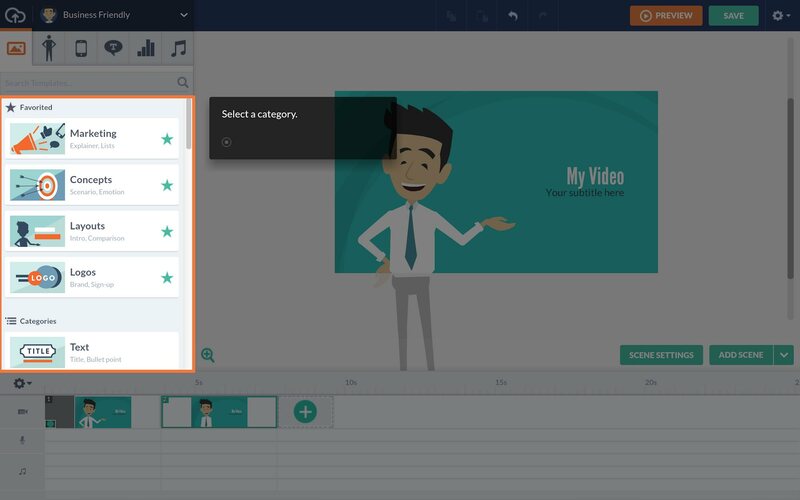 Vyond is a powerful app that allows non-technical people create animated videos for a fraction of the cost of a traditional animation studio. 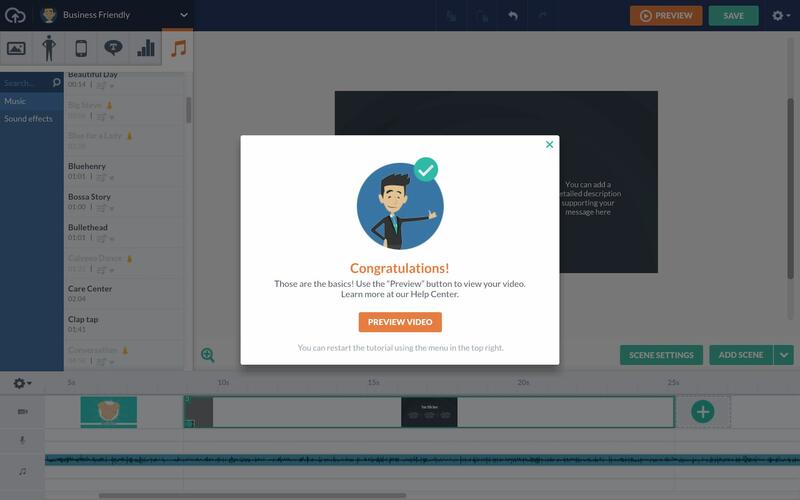 Creating their first video in a matter of minutes not only helps users understand the power of the product, but it energizes and motivates them to continue using Vyond further. New users can easily feel overwhelmed by a product with lots of features and functions. An interactive in-app tour that takes users through a selection of the most important features can help ease them into your app. Campaign Monitor is an email marketing tool that helps companies convert cold leads into customers by reaching people at the right moment in their customer journey. 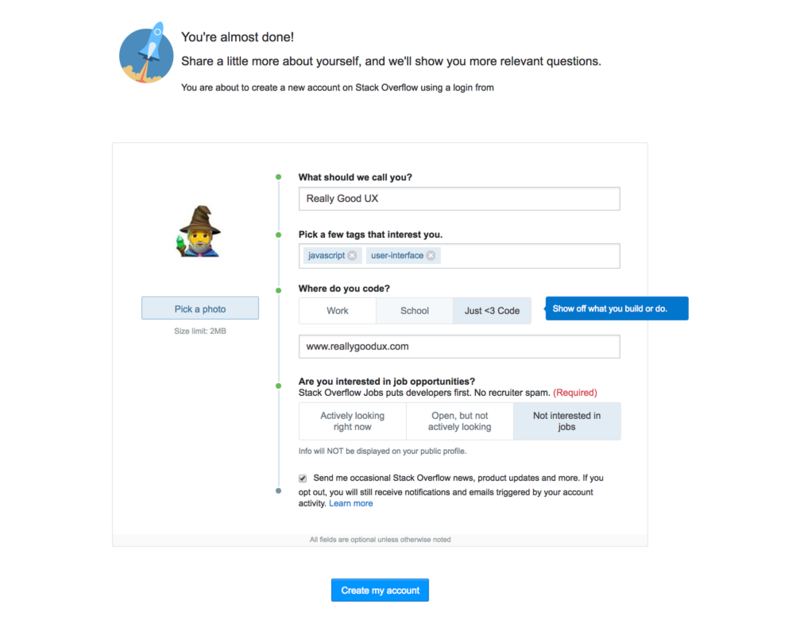 When users choose the second option, they are presented with a series of three questions that help Campaign Monitor personalize their results. A progress indicator lets users know that the questionnaire will be brief, ensuring that few drop off before completing the process. 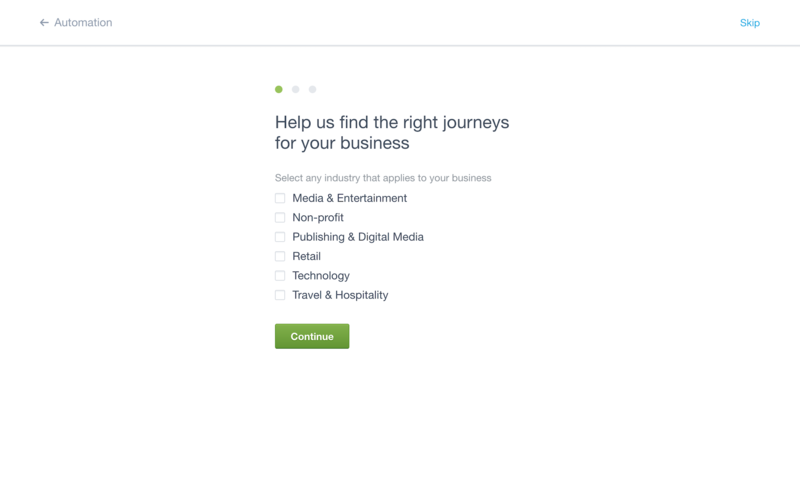 After submitting their answers, users are presented with personalized customer journey ideas. 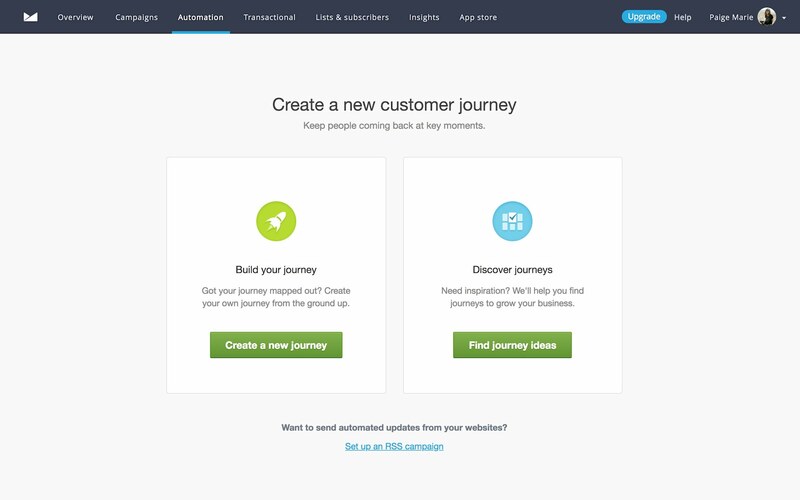 These customer journey ideas help new users get started with Campaign Monitor more easily, and even experienced email marketers are likely to find them helpful. Offering personalized user experiences is always great way to impress new users. And allowing people to choose their own onboarding path is a smart way to make novices feel comfortable without frustrating more seasoned users with too much handholding. Asking people to pay for your product can be tricky. If you don't get it right, your marketing can come across as too salesy (or, as we like to call it, gross). People are bound to hesitate before forking over their wallets, no matter how positive their experience with your freemium product or platform has been. When it comes to upgrading, when and how you ask matters. For most people, booking travel accommodations is a big deal. They want to know a ton of details before they buy, starting with things like location, basic amenities, and availability—and ending with customer reviews. Like all peer-to-peer marketplaces, Airbnb relies on the power of social proofing. Airbnb recognized that their users were likely to spend a lot of time down at the bottom of the page in the reviews section, and that this could, ironically, end up being a roadblock for actually booking a property if the booking widget lived at the top of the page. To avoid this, Airbnb made their booking widget sticky: No matter how far a user scrolls down the page, the booking widget remains visible. As soon as someone has read enough reviews to be convinced, they simply select their checkin criteria and book, no scrolling required. Making your call-to-action sticky is a great way to ensure that it remains accessible to users when they're ready to pay, without interrupting their browsing or workflow. Updating or introducing new features can help keep a product feeling fresh and relevant. 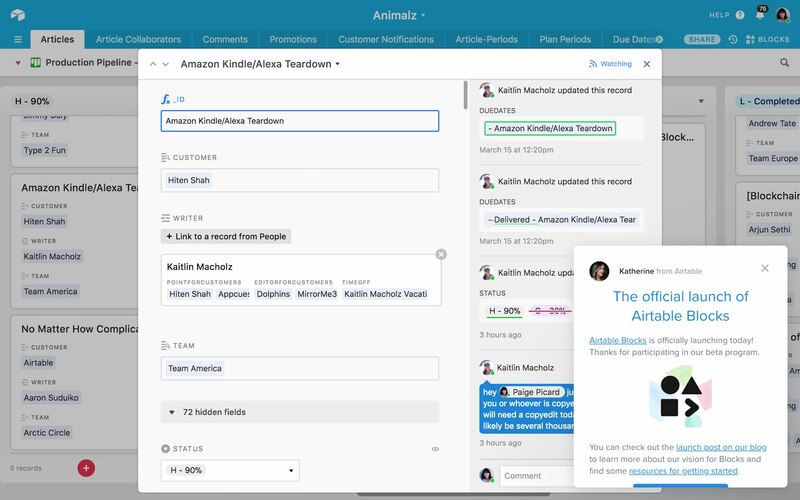 Rolling out a new feature can bring new users onto your platform, reduce churn from existing customers, and provide incentives to upgrade. New feature announcements should strike a balance between being exciting and remaining unobtrusive. You want to let your users know about your feature update without disrupting their normal workflow. This way, users can explore your new feature on their own terms. Airtable is an extremely powerful, flexible tool that can be used to organize and store anything from UX research to content audits (sort of like a spreadsheet on steroids). When Airtable released a new data visualization feature called “Blocks,” they used a sticky scroll box in the bottom righthand corner to introduce this new feature in a friendly and unobtrusive way. The feature update appears as a friendly heads-up from a customer support agent and the use of emojis as an option to give feedback makes it light and fun. Airtable kept the announcement brief by linking to multiple resource pages, rather than overloading the scroll box with too much content. Airtable's feature announcement is a good reminder that a personal, human tone is often an extremely effective way to get users to pay attention and take action. Vimeo is a video publishing platform that can also be used to host private videos on your website. 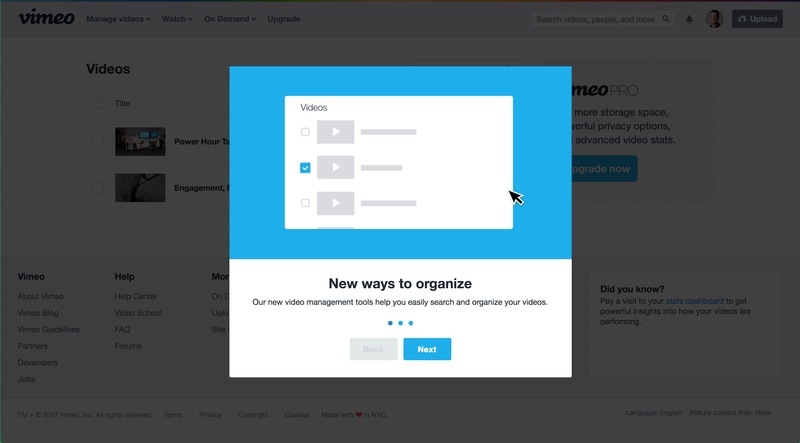 Similar to Youtube, Vimeo functions a bit like a cross between a social media platform and a video search engine. To stay relevant, it needs to constantly roll out new and exciting features. Modals can feel intrusive, but Vimeo keeps their feature announcement short and sweet. Simple images and concise text give users a brief overview of the new feature. The result feels educational rather than unnecessarily disruptive, and the progress indicator is a nice little bit of UX that reassures users that this announcement will indeed be quick. Part of creating an exceptional user experience is helping your users get the most value out of your product. This often means encouraging them to take the right actions. Good UX doesn't just point users in the right direction; it motivates them to take action. The UX examples in this post are just the tip of the iceberg. There are so many examples of Really Good UX out there. Go check 'em out!